Cakes, cocktails and pasta: today I’ve decided to share with you 5 of my favourite places in the South West of London to eat or have a drink. Every time I’m in the museums area in South Kensington, I always end up looking at the Lamborgini shop with in my hands an extraordinary red velvet cupcake from The Hummingbird Bakery on Old Brompton Road (other locations: Soho, Richmond, Notting Hill, Islington and Spitafields). Entering the lovely shop is a treat for both the eyes and the stomach: it’s a nightmare having to choose between all this beautiful American-style baked cupcakes, layer cakes and brownies. My advice? 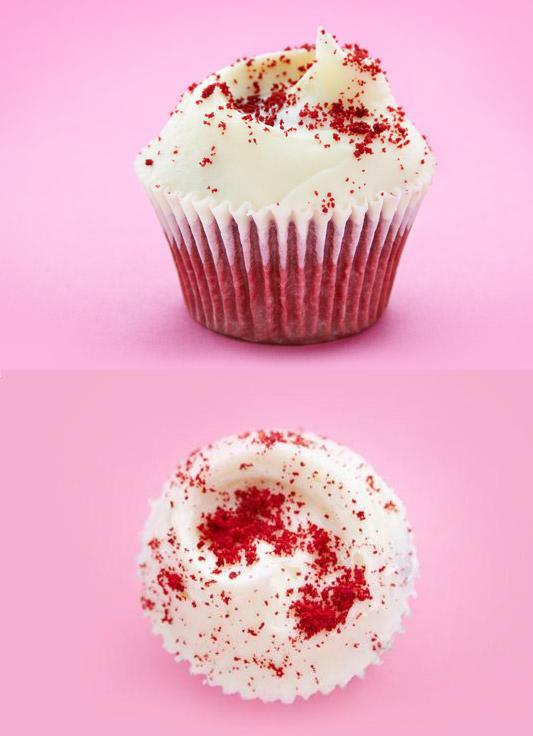 Go for the red velvet cupcake and close your eyes… the frosting is simply exquisite. I spotted this nice querky Italian restaurant on Kings Road. 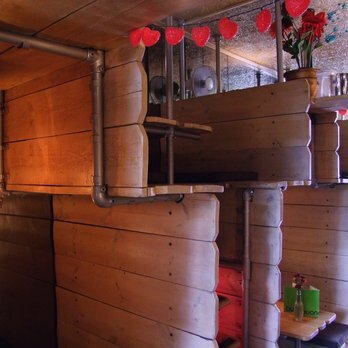 Tables are placed on two levels like wooden bunk beds. This unusual setting of the restaurant makes it very romantic. You’ll be impressed by the waiters that need to be agile to climb the ladders with both plates in their hands! Moreover, the food is very nice and not expensive at all! 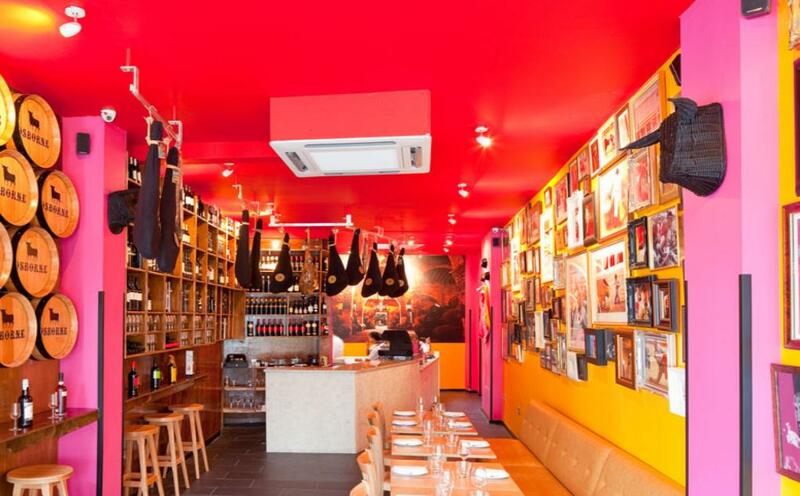 There’s a slightly more expensive alternative on Old Brompton Road that I really liked: the Capote & Torros tapas bar. I ate delicious tapas served on nice plates and slates whilst listening to live flamenco music in a very colourful decor. They also have an impressive sherry wine list. Beware: don’t bang your head against one of the giant hams hanging from the ceiling around the bar. Another tip: you will probably need to book, it’s very busy! 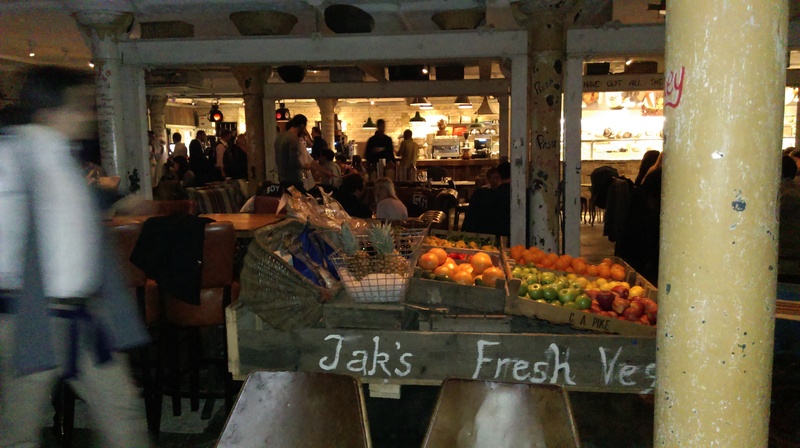 And I’ve got a third Mediterranean option for you: the Jak’s bar on Kings Road. Unfortunately, I did not get a chance to eat at the restaurant but anyway the venue is really spectacular: Jak’s is like an underfloor canteen and bar with vintage settees and seats. Loud music and cocktails progressively transform the restaurant into a lively dancing bar. It’s a pity it already closes at midnight (and it really does – music off, lights on)! For more dancing and singing, choose the Piãno Kensington on Kensington High Street. A piano bar, isn’t that a bit old fashioned? I must admit I was a bit skeptical but some friends organised me a surprise birthday party there 2 years ago and it was definitely one of my best nights out in London! The pianist was just amazing, you gave him some post-it with the songs you would like to hear and he did everything from Britney Spears to Jeff Buckley and Eric Clapton. He didn’t know one? He just looked up the lyrics and tune on his phone and he’s good to go! I strongly recommend booking a table and coming there early. One more thing: I didn’t have to pay anything as it was my birthday but the prices were not low! Oh ok I had said 5 places but I recently discovered this lovely place and I really want to recommend it! 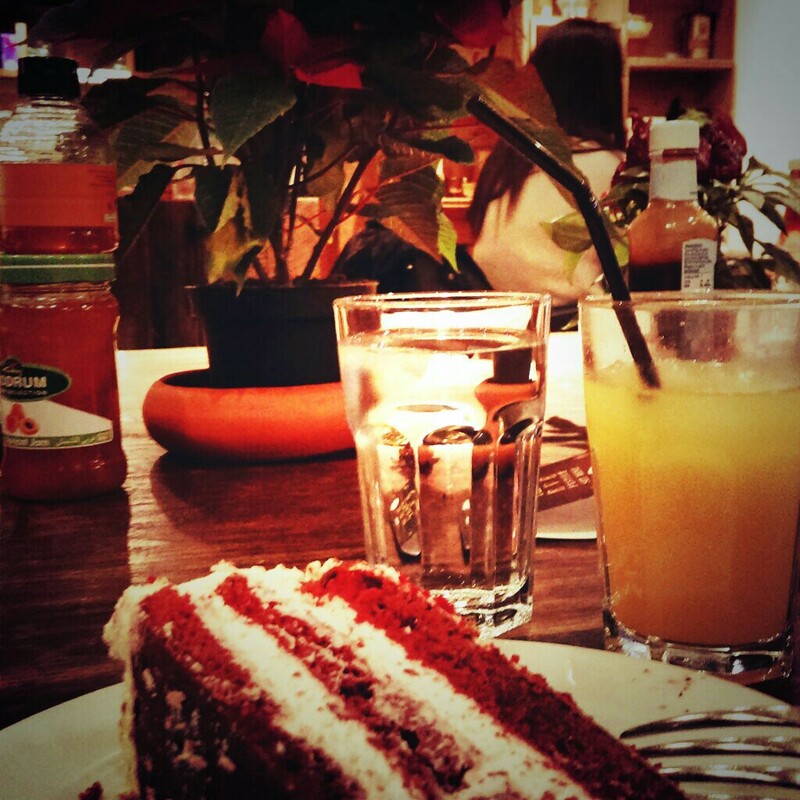 The bakery of Del’Aziz is the perfect cozy place for a Sunday brunch. I went to the one in Fulham and instantaneously fell in love with… the red velvet cake (yes again!) whilst my friends got an enormous plate of toasts and eggs around 3.30PM (breakfast until 5pm on Sat-Sun). Around us the stalls were full of several sorts of teas and other Mediterranean delights to buy. There is also a restaurant part at Del’Aziz where you can taste tagines. Sounds like a really cool concept! Thanks!